MANILA, Philippines - Phenomenal stars Maine Mendoza known as Yaya Dub and Walter James 'Wally' Bayola or Lola Nidora in the hit 'Kalyeserye' of Eat Bulaga lead in the latest television commercial (TVC) of smartphone brand company O+ (O Plus USA). Some photos of Mendoza and Bayola shooting for the mobile phone advertisement are now viral online thanks to the popularity of the AlDub loveteam which composed of Alden Richards and Yaya Dub. O Plus Facebook and Twitter accounts hint of '#MayForever' campaign to feature AlDub split-screen tandem. 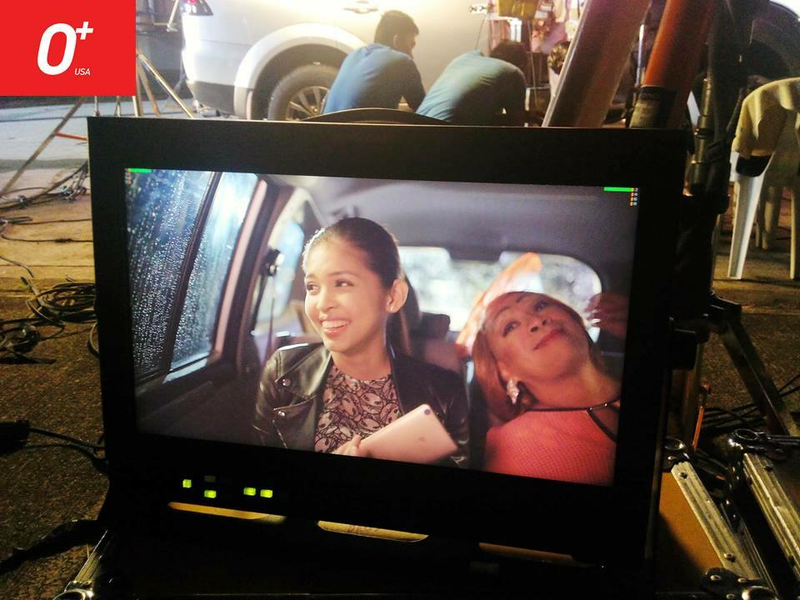 Behind the scene also shows Yaya Dub with Lola Nidora on a heavy traffic. O Plus is the third edorsement of Maine after McDonanalds and Talk 'N Text brands.